Originally planned to be a 2D CGI film, "The Smurfs" has followed suit with the recent Hollywood trend of 3D and live-action hybrid. I can't say I'm all that excited by it either. A straight forward Smurfs movie in the middle ages with their nemesis Gargamel (Hank Azaria) and his cat Azrael hunting them down would've probably worked better, but alas were now stuck with medley of the two. The upcoming 2011 release will open in the middle ages with Gargamel finding the Smurfs hidden village. 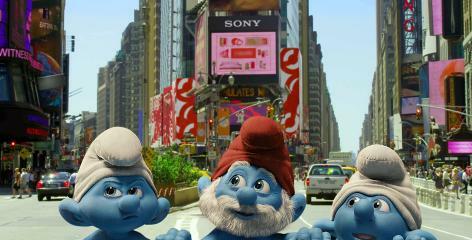 The Smurfs scatter from Garamel in various different directions with a few of them falling into some kind of "magical portal" that transports them to New York City. Garamel will follow them through the portal as well. 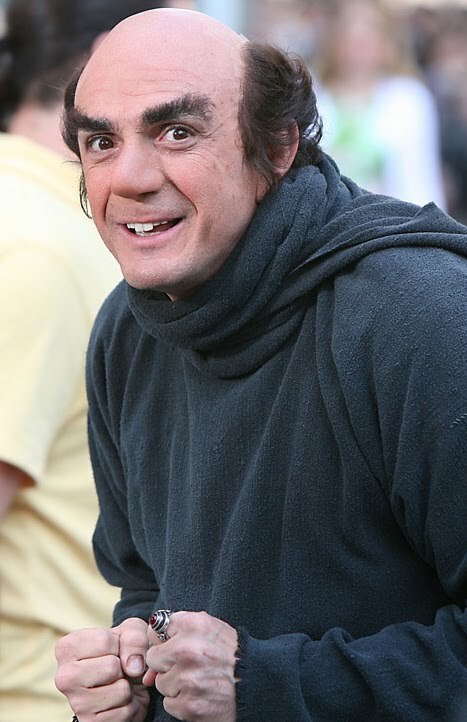 Director, Raja Gosnell (Scooby Doo) says that Gargamel no longer wants the Smurfs for his appetite but instead wants to use their magical charm for his own evil devices. Once in NYC, Papa Smurf, Smurfette, Brainy and a new character Gutsy will encounter a husband and wife played by Neil Patrick Harris and Jayma Mays who end up helping the Smurfs in the modern world. Stay tuned for more updates on "The Smurfs" as they develop including a trailer which is said to hit the net come Thursday, June 17th.